Learn how to get around Voiceflow and access the information you need with our menu system. Voiceflow is a tool for building Alexa skills without having to code. You can drag and drop in 'blocks' which you connect to create a conversation with your user. 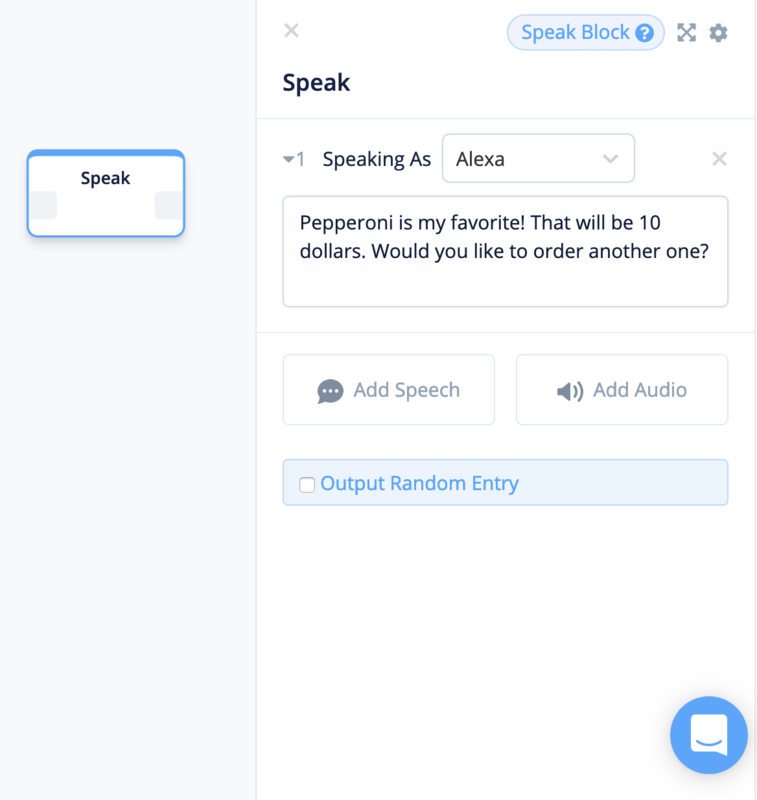 You can do a lot of things in Voiceflow, from building interactive stories to pizza ordering skills. 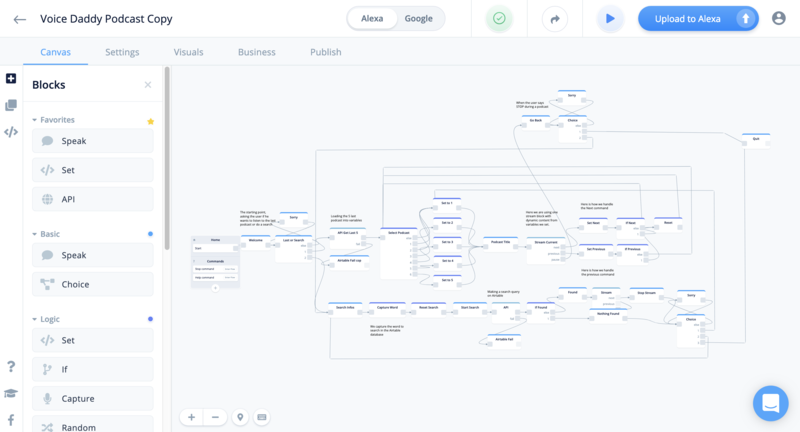 We made our own interactive stories skill on Voiceflow that pulled in $1,000 a month for us. You can see the Flow diagram for that skill below. Keep in mind ... it was very advanced! The Voiceflow blocks menu is the home of all the blocks you can use in Voiceflow to build your Alexa skills. To use a block, click and drag a block onto the canvas. You can make the block menu smaller by clicking on the 'X' in the top right of the slide-out. The Canvas is the open space where you can drag your blocks in and build your voice app. You can move around the canvas by clicking and dragging your mouse. To have a full view of your canvas, you can close your left and right panels by clicking on the 'X's in the top corners. To zoom in & out of your Canvas view, you can click on the '+' and '-' buttons in the bottom right, or you can scroll in & out using two finger gestures on your trackpad, or scroll wheel. The block interactions menu pops up when you click on a block. This menu allows you to adjust the settings for that particular block. You can close this menu by clicking on the 'X' in the top left. The tools menu is the small vertical bar on the far left of your canvas. This tools menu allows you to select the active tool block you would like to select. You can swap between different tool sets like the Blocks menu, the Flows menu, the Variables menu, and more. At the bottom of the tools menu you can find support services like links to our Facebook community, links to educational resources, and our marketplace. Still have questions? Did we miss something? Have a suggestion?